Awesome shirt. It’s so soft and comfortable. Order one size larger than normal shirts run small. I loved it, very soft fabric and so gorgeus!!!!! 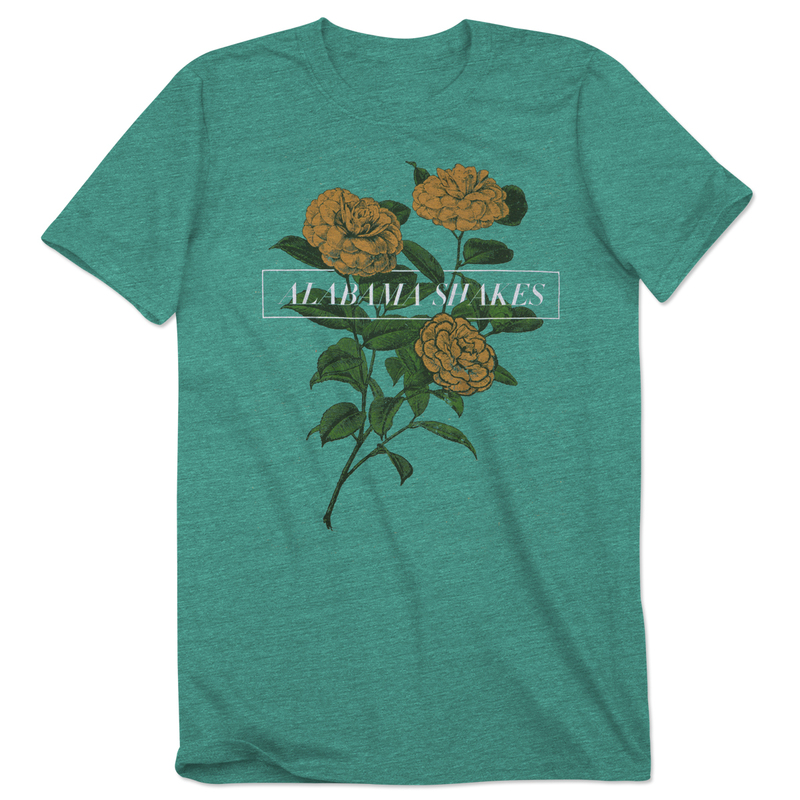 This shirt is just as lovely as the band. I was surprised to find the flowers on my shirt are red; yellow flowers are preferred. I would suggest giving your fans/customers a heads up or an option to choose the color in the future. Other than the color difference, it is soft and fits comfortably. Previous reviews were right in suggesting ordering a size up. Thanks! These shirts run incredibly small. I ordered an XL. It fits like a junior small or medium. I am 5'2" and weigh 118 pounds for reference. The design is so cute and the color is perfect! I just wish it was true to size. I hate that I have to return. Super soft and great graphic but damn this shirt is TINY. Got an XL and it fit comfortably snug, but after washing it, looks like I bought it at baby Gap. The shirt is gorgeous, however, I ordered a women's large and gave the shirt to a friend who is 110 pounds. The large was tiny. Order at least a size up.